IVR Solution for Small Business: Features, Advantages & How to use? How You Can Choose the Ideal IVR Solution for Your Small Business? Interactive Voice Response a.k.a IVR solution are currently getting a lot of attention to small enterprises. And for good reason. We’ll get into the benefits that modern day IVR systems offer any business in a bit. First, let’s quickly touch upon what an IVR is. Simply put, an IVR service lets your business route calls to appropriate destinations. To know more, you can check out the link below. Technological advancements have made IVR systems much more than tools to answer a call. They now present an array of benefits to make any business more efficient. An IVR system presents two benefits for your business. One, it portrays a professional image of your organization. Two, it reduces hold time for callers and increases the chances of First Call Resolution. This is because the Automatic Call Distribution feature routes calls to the correct department instantly. Callers can choose whether they want to connect to the sales, support, or accounts division and reach the right department. These factors make a caller’s interaction with your business more pleasurable and increase customer satisfaction. Satisfied customers can become advocates of your brand. An IVR system can cost anywhere between ₹5,000 and ₹50,000 per year. The upper limit might sound like a steep investment in technology. But compare this to the returns it offers. The number of ports or channels signify how many simultaneous calls an IVR system can handle. A 10-port IVR can ensure that 10 calls reach their destination simultaneously. This is something you otherwise might need to employ five telephone operators for. Add a touch of self-service to this. Your callers can get information and even update their details using an automated system. For instance, banks allow customers to know their bank balance through automated messages. IVR systems also allow customers to update their personal details and even make payments using DTMF tones instead of speaking with humans. All this means you save on manpower expenses. With a reduction in manpower comes a reduction in errors and rework. All this contributes to a cost saving substantially higher than your investment in an IVR. One of the biggest concerns for SMEs globally is low employee productivity. This also impacts company turnover. Employees often get sucked into mundane activities which pull them away from their core tasks. Some of the mundane activities include routing calls to correct departments, giving the same information to callers over and over again, and correcting errors made by another employee. As discussed above, IVR systems offer to automate these tasks. This makes employees focus more on tasks that contribute to the growth of your business. Here are three popular functions for which most businesses use IVR systems. An IVR system deploys an automated payment method that allows callers to make ACH, debit- and credit-card payments anytime. Not only does this empower customers to make payments 24/7. It also keeps sensitive information secure. Automated reminder services can set up phone meetings for your workforce or clients. They also send voice or message reminders for the same to reduce chances of a “no-show”. Alongside, your business can use this feature to send birthday, renewal, medical checkup and other purpose reminders to your workforce, customers, or vendors. Voice systems route calls to the right department where the caller interacts with a human being. Voice support is deployed often in contact centers or organizations with multiple departments where callers have queries that cannot be answered by a robot or chatbot. 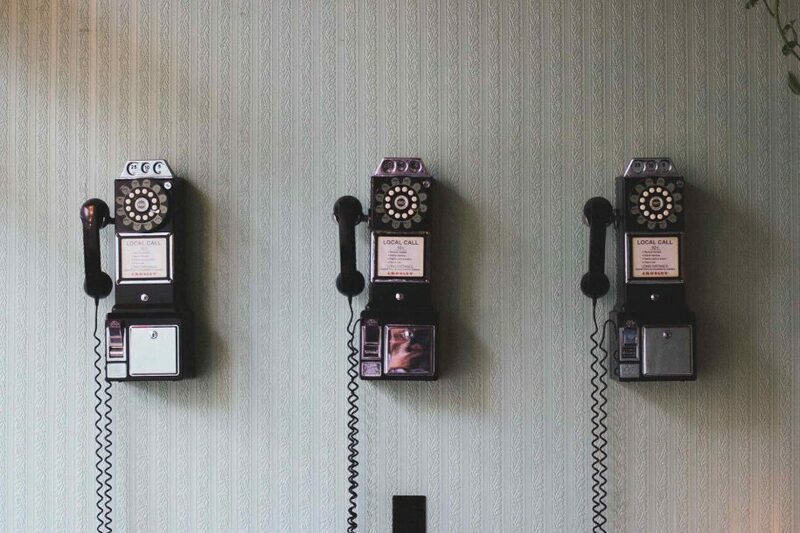 Now that you have a strong understanding of why and how IVR systems are helpful, let’s dive deeper into an important topic: how to choose the ideal IVR system for your small business. Like any investment, you must consider certain critical metrics while zeroing in on an effective IVR system. While these metrics change according to any business sector, a few of them remain common across the board. One piece of advice we give all our clients is to prioritize function over form. Businesses often stop using IVR’s because they don’t use most of the features the system offers. To avoid this pitfall, identify three main reasons to deploy an IVR. Look for a system that addresses these needs without fail. With the ubiquity of cloud computing, most popular services like IVRs and Tally have also become available on cloud. A hosted IVR system stays on the cloud. An on-site system combines with the existing telephony system. This might warrant the need for a dedicated server. Unless you have specific reasons to maintain your system on-site, it’s better to host it on a reliable cloud. Always request for reports and analytics during your IVR demo . This gives you a clear idea about whether the reasons for which you want to deploy the system get fulfilled. You also know what changes, if any, you’ll need to make. This data is important for you to scale your business up and improve its efficiency and effectiveness. An IVR integrated with an existing CRM lets people call it by clicking a button from the website or mobile app. It also provides a slew of other features and add-ons. This translates into unmatched convenience for your employees and more importantly, your customers. Your organization’s most precious asset is its time. More time and energy spent on core tasks will enhance up your organization’s productivity. Before you dismiss an IVR system as an expense, study the return on investment. An IVR system automates many tasks that drain your employees’ time and energy. You’ll find that it’s one of the smartest investments you can make to take your business to the next level. Tags: benefits of ivr solution, features of ivr solution, ivr solution provider in gujarat, ivr solution provider in india, ivr solution provider in mumbai, ivr solutions, what is ivr solution?